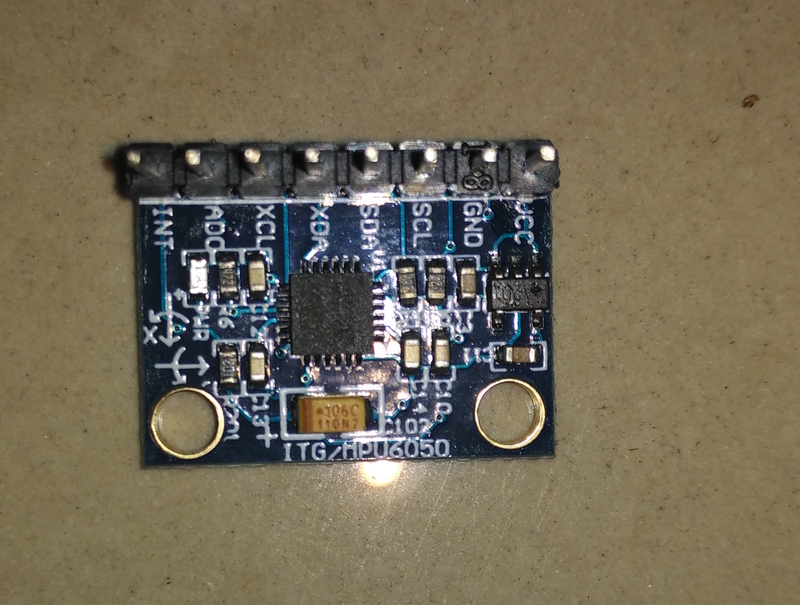 There is another sensor MPU6050 which has both accelerometer as well as gyroscope in it. 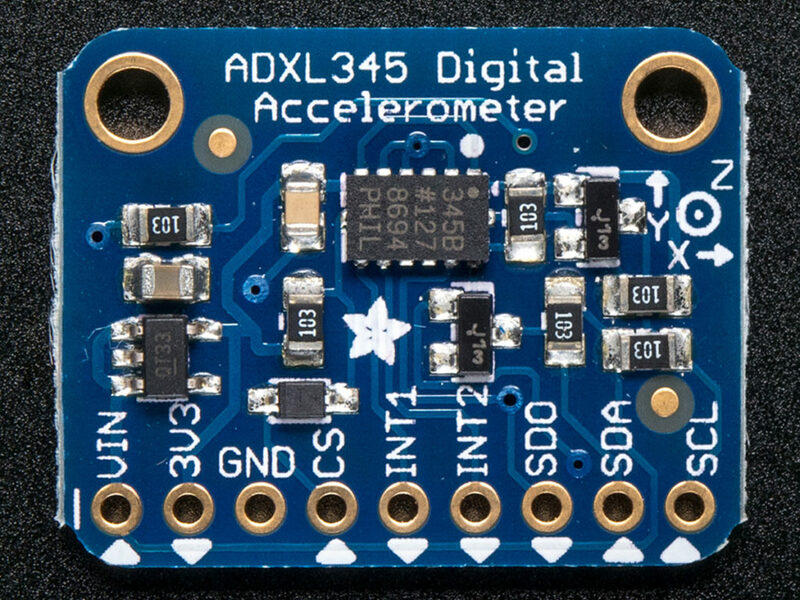 That can also be used in place of accelerometer. 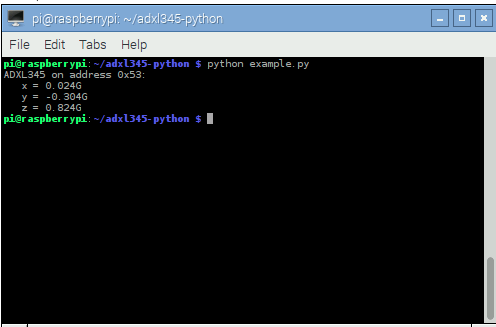 The address of ADXL345 and MPU6050 differs while connecting in I2C mode with raspberry pi, for ADXL 0x53 and MPU it is 0x68. 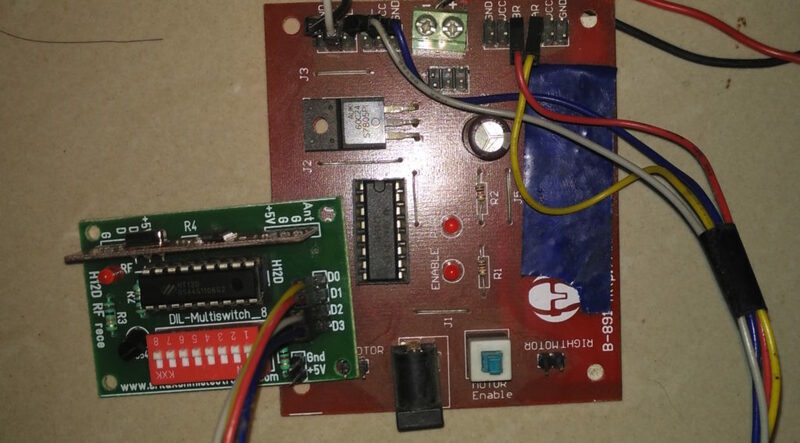 In this tutorial iâ€™ll explain how to use both ADXL345 and MPU6050. 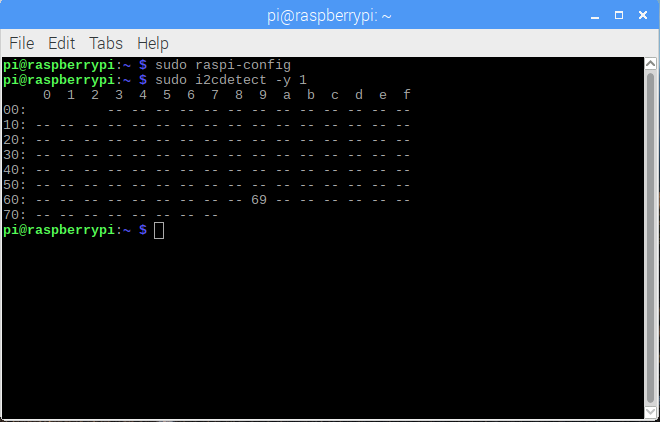 From the GPIO pin out diagram you can see the SDA and SCL pins on Rpi and connect it to the ADXL345/MPU6050Â SDA and SCL pins respectively. 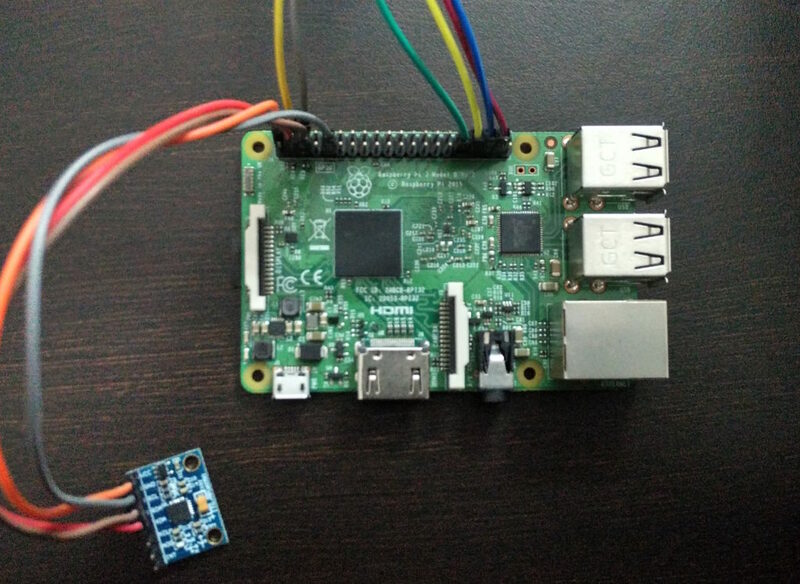 Power the sensor using RPi itself. Now the connections are done. 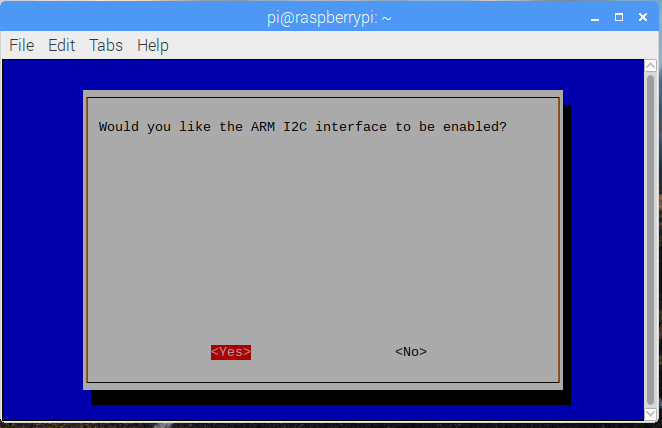 To check our sensor connection and address open terminal and type the command below. 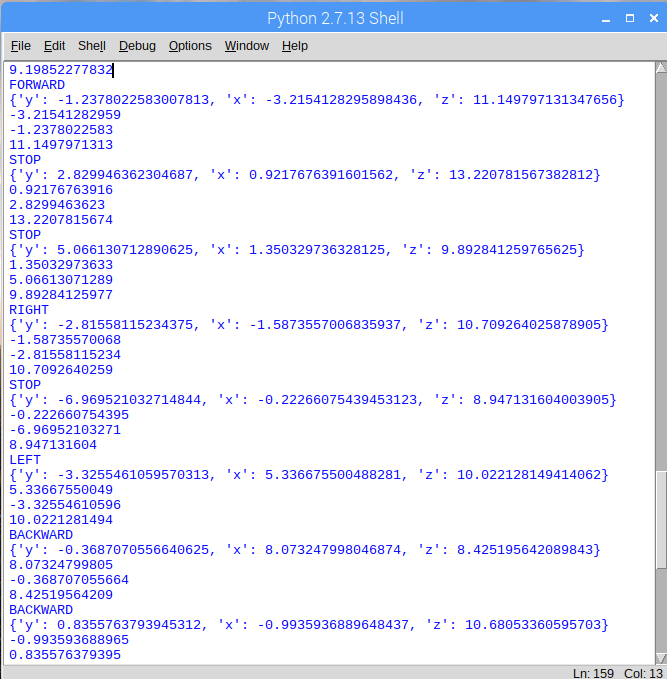 It will show the sensor address at 0x68 or 0x69Â as shown below. A step further you can now determine the threshold values of 4 different position for the movement of right, left, forward and backward and note it down. Calibration can be done based on your sensor values at different positions like keep it in a position which you want for the forward movement and note down 5 similar values and round it off to a threshold, so that if the sensor crosses the rounded off value a condition statement in the program can be enabled. Similarly calibrate itÂ for all other movements like left, right ,back and stop. Note: The code is explained in the comments itself. 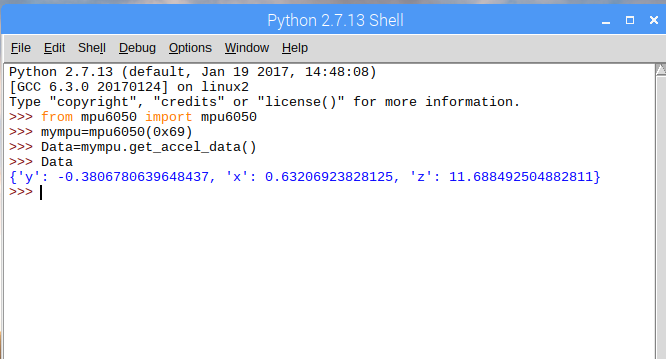 Now the python program will output the 4 digital outputs according to the threshold value calibrated to the gesture motions/positions. If it exceeds the threshold, the digital output corresponding to the motion will be assigned to GPIO pins. 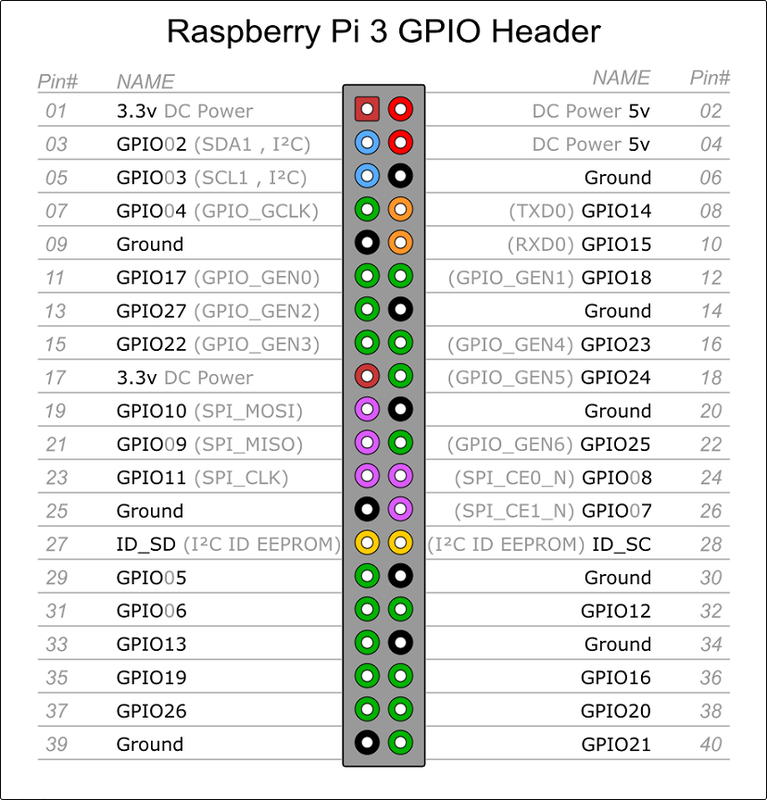 Now the GPIO pins which are assigned for digital outputs are connected to the encoder 4-bit data pins. The encoder is connected to the RF transmitter. Prefer Encoder module along with Transmitter as shown below. 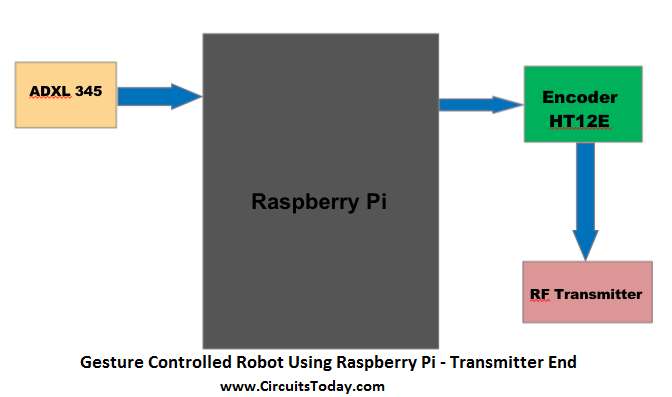 Power the transmitter module using rpi itself. RF transmits the data serially to the receiver. In transmitter module there are 8 switches for encryption . The same switch positions has to be set in the receiver to receive the data correctly. Once the transmitter module is started transmitting the motion data, power on the Receiver module from the battery which we will be using for the Robot. How to test if the receiver is receiving data or not. While powering the Rx module two LEDs will be lit one for power and another one for connection enabled. If connection is not enabled, check the switch positions and transmitter module. Before connecting the decoder to the motor driver lets cross check the received data with a Multi-meter. If you don’t have any multimeter connect those 4 pins of decoder output to any 4 gpio pins of rpi and add these lines of code to our transmitter program, later we comment it out. Now we will print both motor output values to be transmitted via encoder and the data received from decoder from the air interface. These data should match. Once the data is matched we will connect our decoder to the motor driver L293D. 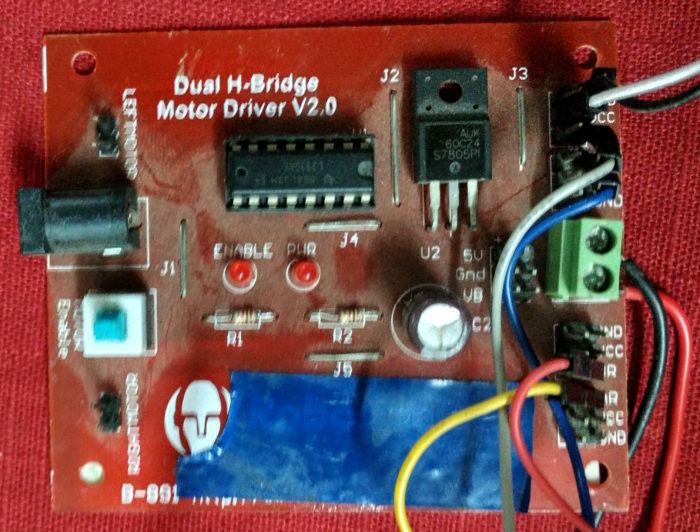 The 4 pins of decoder is enough to driver the motor driver output which in turn amplify the decoder data to the motor. So that the motor runs as per the decoder data. Since we are using 4 pins of decoder which can give 16 combinations of data, but 4 is enough to hover the robot. A single DC motor has two pins A and B (say). Either the pin A has to be in higher voltage than the other pin B so that it can make a potential difference to run the motor. The directions of rotation are reversed by reversing the connection. So two motors 4 pins and 4 decoder outputs will drive the motor. You can consider Motor A pins as A+ A- and Motor B pins as B+ B- for your convenience. For moving forward both the motors should rotate in same direction either in clockwise or anticlockwise. For backward movement the exact opposite of forward data should be given to make the motors to rotate in opposite direction. For moving the robot left and right, one wheel should rotate in clockwise and another in anticlockwise so that it will turn your robot towards left or right depending on your configuration. 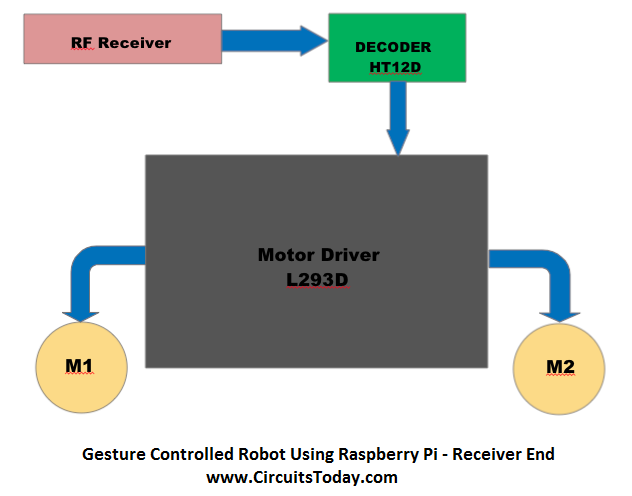 Once the configuration is done, lets test drive our robot using our hand gestures. 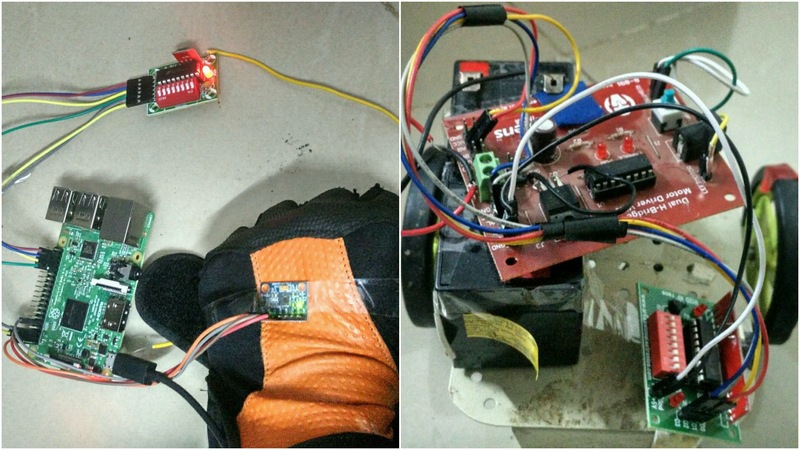 Power on all the modules and send data of your hand gestures using the sensor via RF to the Motor driver. Based on your hand gesture robot will move with a delay of milliseconds as you see in demo. This is testing the accelerometer by fixing in the hand and changing the orientation of hand, so that based on the threshold values, it will print the motions as LEFT, RIGHT, FORWARD or BACKWARD. Better view it in a full screen. Since the wires are tangling and iâ€™m not having an antenna, the motion wont be that smooth. But those can be fixed. Can I have a video about this project .. Means how to make it .. Connect the wires n all..
how will I get wiring details of the circuit.